While we are a professional carpet cleaning business, this doesn’t mean we don’t know about other types of flooring as well. In fact, we are just as educated with tiled floors as we are with carpet. We love a good tile floor, and there are plenty of homeowners out there who couldn’t agree with us more. 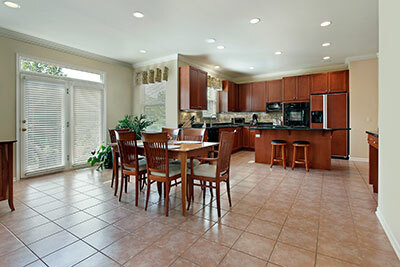 Tile is a very popular option for kitchens and rooms of the such, so why not offer cleaning for these areas as well. Since most homes have tile somewhere in them, we thought it best if we offered a tile and grout cleaning for your home as well. With this said, there are some things we do to make we clean your tiles right. Since tiles are so popular in homes, there have to be many different colors and patterns that go along with house styles and colors. This being the case, we take into consideration the coloring and pattern of your tile whenever we clean them. Since tiles are very susceptible to being discolored over time, many people actually think that they need to replace their tiles because of how dirty they can begin to look. Whenever tiles get worn into and have all sorts of different colors mixed in with them, it is hard to think that there is a way to remove the discolored portions of it. This can lead homeowners to buy new tiles for their floors, which is never fun for you or your wallet. Since we believe in minimizing costs for our customers, we definitely recommend tile and grout cleaning instead of tile and grout replacement. When we clean your tiles, we will look at the original color of the tile and make sure we get it back to that coloring. When we know the original color, we will use our very careful methods of cleaning to remove all of the other colors that have plagued your tile. We understand that a discolored tile can look terrible if it stands it from all the rest, which is why we will make sure that the coloring of the tiles all match before we leave. We wouldn’t want to leave a tile on your floor that looks oddly different from the rest. We will take great care in cleaning your tiles and restoring them to their original shine. But it isn’t just the tile that needs to be cleaned. The grout in between your tiles needs to be cleaned as well. Have you noticed any dark spots in your grout between the tiles in your home? If you have, it might be a good time to get them cleaned up. Grout is an essential part of tiling, and if the colors begin to look a bit off from the rest, it can mess up the entire look of the tile. Since grout is easier to have discolored, we also make sure that we clean it completely and have them all looking good as new. The grout in between your tiles, when it becomes discolored, can also seem like it needs to be replaced. But, don’t be fooled! 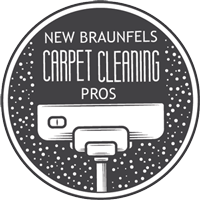 A good cleaning from New Braunfels Carpet Cleaning Pros can have your tile and grout looking just like it did when it was new. No need to go out of your way to look for a tile that looks similar to your old one. This can take a very long time to find and can cost much more than a cleaning job would. Like we said before, we love to make sure our customers aren’t having to spend more money than they should to have clean and shiny flooring. Nobody wants to hear that they could have just had their tile and grout cleaned after they replace it with brand new ones. This is certainly not the kind of news anyone wants to hear, and we’re glad to say that it doesn’t have to be that way either. We offer tile and grout cleaning for your floors so that you don’t have to feel the pressure to replace it. When we come by, we will make sure your tile and grout is cleaned carefully and safely. We will also be able to fix up any minor scratches or dents that have found their way into your tiles or grout. With all of this being said, it certainly seems like a good idea to clean your floors instead of replace them, and it sure is. 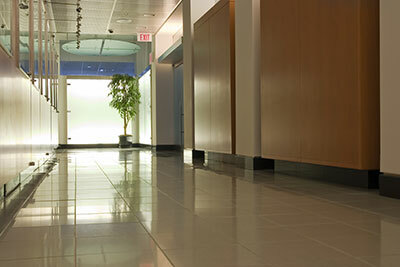 We would love to come out and provide you with the professional tile and grout cleaning that you need. Give us a call, we won’t disappoint!